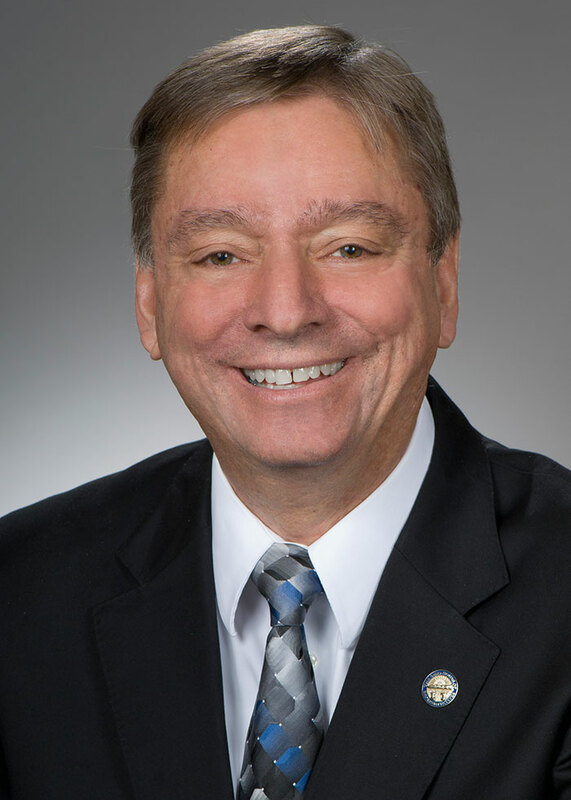 State Representative John Patterson is currently serving in his third term in the Ohio House of Representatives. He represents the 99th House District, which includes portions of Ashtabula and Geauga Counties. A lifelong resident of the District, Representative Patterson retired in June, 2012 from teaching U.S. History at Jefferson Area High School for 29 years. During his time at Jefferson, Representative Patterson served as the Model United Nations advisor. In addition to winning numerous regional conferences, his teams also placed high at national conferences such as Harvard and the University of Chicago. In 1995, his team competed at the Hague International UN Conference held at Den Hague, Netherlands. During his time at Jefferson, Representative Patterson was active in the Jefferson Area Teachers’ Association. He was the chief negotiator for his union from the late 1980’s until his retirement. Representative Patterson received his Bachelor’s Degree from Marietta College and his Master’s degree in Political Science, American Government from Ohio University. Representative Patterson earned his Ph.D. in Education from Kent State University. He has instructed undergraduate courses at Kent State and has also taught at the graduate level for Gannon University. John is a Martha Holden Jennings Scholar (1991), Ashtabula Country Teacher of the Year (1991), Ashland Oil Teacher of the Year (1992), Jefferson Village Citizen of the Year (1995), Kent State Ashtabula Alumnus of the Year (1999), and Jefferson Area Schools Alumnus of the Year (2010). He serves as president of the Jefferson Memorial Foundation and the vice-president of the Henderson Library Memorial Foundation. Representative Patterson and his wife, Nancy, have been married 31 years and are the parents of Joshua and Jeremiah. He is a member of the Jefferson United Methodist Church, sings in the Chancel Choir, and is a member of the Men’s Sunday School class.